Having conducted lots of research of Malcolm X while working on my book about Alex Haley, you’ve written a nice summary of his life, one that will–thanks to the Autobiography–will never be forgotten. I believe in Malcolm X words of separation from the influences, injustices and humiliations of the white man through any forms of violence. Martin Luther King in the other hand offered equality to the world of whites. There’s two different opinions of how to inspire and motivates Blacks, but the good part about it is that, King and X didn’t insult each other, didn’t spill their dirty laundry, if any. But still, they kept their distance. The sad part about X is that the Nation of Islam even thought it has it’s dirt, were “betrayed” by Malcolm’s separation from it and became their enemy. It’s an interesting article, even thought there’s some movies that depict him including Spike Jones version. They were both great men, fighting for the same goals but with different methods. Great people don’t live long and if they do, those who cut their lives short will try to put them in disgrace. Martin Luther King, Malcolm X, Kwame Nkrumah, Patrice Lumumba were all killed before their time but that have motivated us to take life seriously as a Black people, because there is no silver spoon in our mouth. Their legacy will always live on! 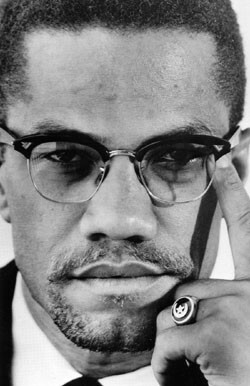 #MalcomXDay … So very much needed now! “Merely by describing yourself as black you have started on a road towards emancipation, you have committed yourself to fight against all forces that seek to use your blackness as a stamp that marks you out as a subservient being.” Steve Biko. This is not the time to rest but to continue the works of Malcolm X, Martin Luther King Jr, Kwame Nkrumah etc, because the black man is not yet free. There is no statue of Adolf Hitler, because he is considered a criminal who killed 6 million Jews, but there are so many statutes of King Leopold II in Belgium, a king that killed over 10 million Africans. This is disrespect to any Black man. The reason I want to use the social media to send a message to all Africans, African-Americans and Africans in the Diaspora, including musicians to stop performing in Belgium, until all those statutes come down and all the streets named after this criminal king be denounced. This the only way we can change history, not our status or money.